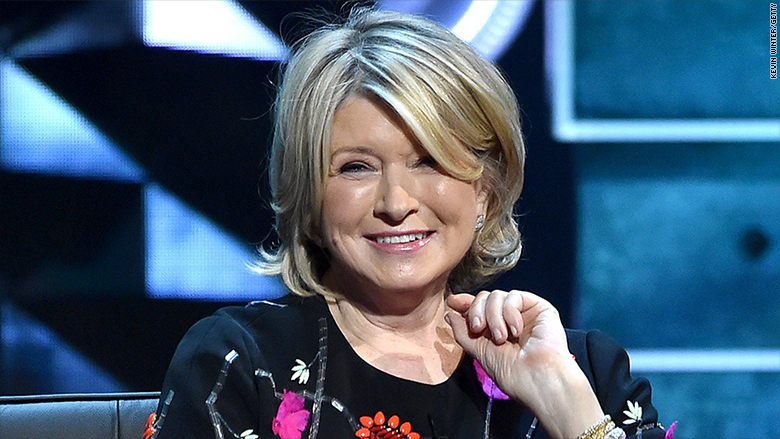 Martha Stewart has sold her company, but she'll stay on in a key role. Martha Stewart's company has been sold, but the style guru will stay on in a key role. Sequential Brands Group (SQBG) announced Monday that it will acquire 100% of the outstanding shares of Martha Stewart Living Omnimedia (MSO) for $6.15 per share. Stewart will "continue to be an integral part of the brand she founded," and serve as chief creative officer in the new company on a long-term basis, according to a statement. She also will be a major stockholder and sit on the board of directors. "...(W)e now have the opportunity to tap into Sequential's expertise and resources to expand our merchandising business both domestically and abroad," Stewart said in a statement. Shares of Martha Stewart Living Omnimedia were down 14% on the news, while shares of the New York-based branding firm Sequential Brands were flat. The possible deal with was first reported last week by the Wall Street Journal. Stewart formed Martha Stewart Living after buying out Time Inc.'s shares of Martha Stewart Enterprises in 1997. She stepped away from a leadership role after she was indicted for securities fraud in 2003, and was banned from holding an executive seat by the SEC until 2011. Stewart later rejoined the board of directors, but then a licensing dispute took center stage. In November 2014, the lifestyle and media company discontinued its flagship Martha Stewart Living magazine and handed over control of Martha Stewart's wedding magazines to Meredith Corporation. First quarter earnings were dismal, with revenue down 49% over the same period last year. CEO Dan Dienst said May 5 that the company will refocus on creating original content and landing new licensing deals. It brokered deals with PetSmart and Staples (SPLS) earlier in 2015. Macy's (M) sued Stewart Living for agreeing to sell home goods products at J.C. Penney (JCP) despite an existing contract with Macy's. The companies have since settled, but Martha Stewart Living has posted a loss for the last five years.